Recently one of our readers asked if it was possible to create a micro-job website like Fiverr using WordPress? 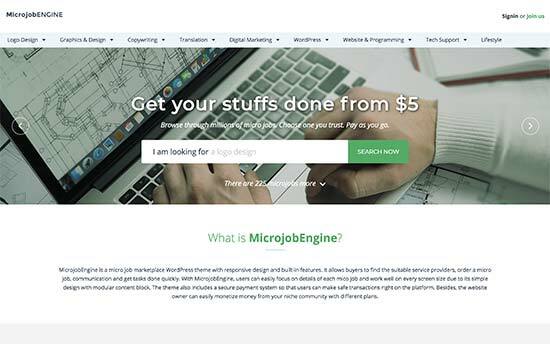 A micro-job website allows users to offer their services on your website. 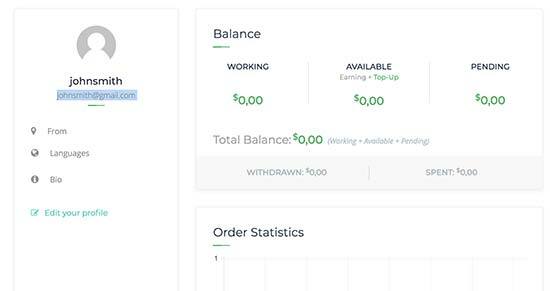 This allows you to charge money for job posting or get a commission when the job is finished. 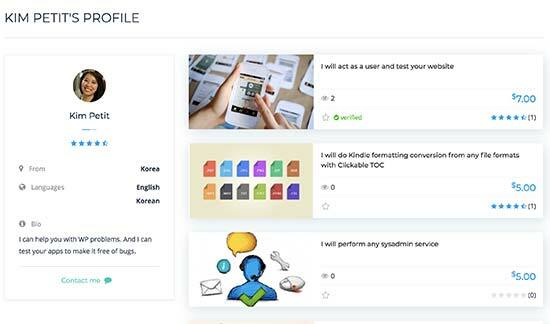 In this article, we will show you how to easily create a micro-job website like fiverr with WordPress without any coding knowledge. There are plenty of ways to make money online using WordPress. One of them is to build a job board with WordPress. First you need to make sure is that you are using the right platform. 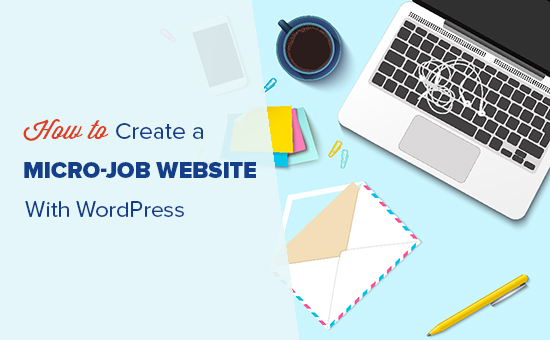 To build a micro-job website, you will need a self-hosted WordPress.org website (see: WordPress.com vs WordPress.org for more details). That being said, now let’s see how to create a micro-job website with WordPress. Next, you need to click on the ‘Install Demo’ button to import and setup a demo website. 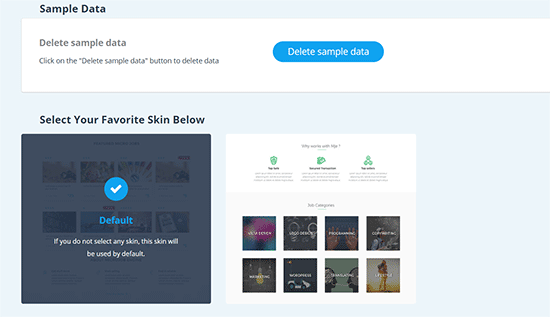 This will allow you to quickly setup the website to look exactly like the demo. You can then replace the content with your own. Your website is now set up just like the theme demo. You can visit your website to see it in action. 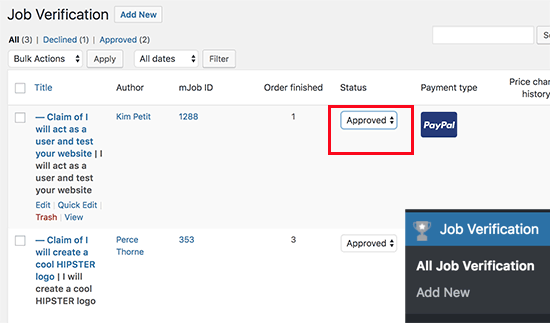 Microjob Engine works with PayPal and 2Checkout out of the box. 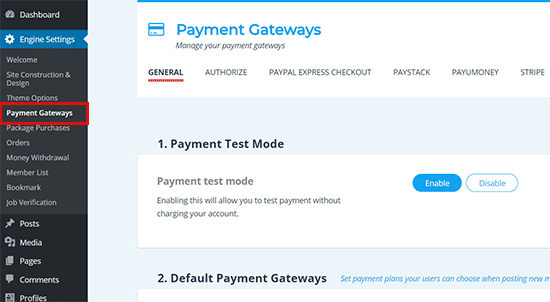 You can purchase addons to add other payment gateways like Authorize.net, PayU, PayStack, and Stripe. Open your website in a new tab and try to use it like your users. Start by posting an ad, and then as an employer by hiring a service. Even though, your users (both freelancers and employers) wouldn’t need to visit the WordPress admin area, you will still manage all aspects of your website from WordPress dashboard. You can also see all completed jobs that need to be verified by visting Jobs Verification page. From here you can approve, keep pending, decline, or verify a job status. To view all withdrawl activity, you need to visit Engine Settings » Money Withdrawl tab. 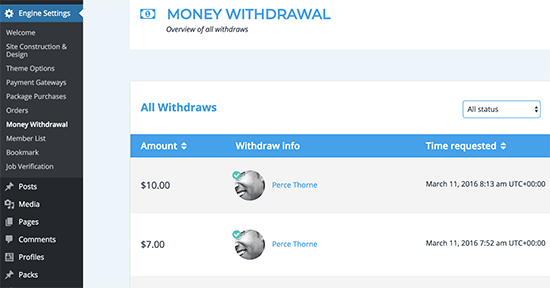 On this page, you will see a list of freelancers who have withdrawn their earnings. This helps make sure that freelancers are not insisting clients to use other unverifiable payment methods. It also helps during the dispute resolution between freelancers and employers. 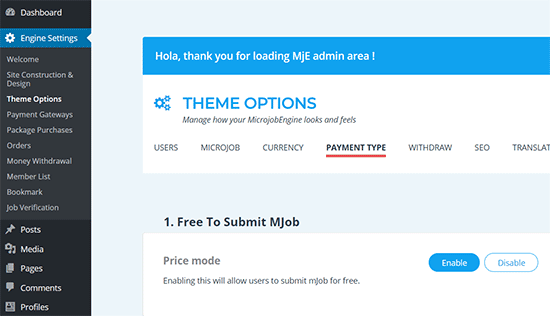 Microjob Engine is a powerful app theme with tons of cool features. However as your website grows, it can be quite heavy on your servers. To make sure your site performs well, see our guide on how to improve WordPress speed and performance. Even then, as your site grows you will run out of shared hosting resources. In that case, you will need to upgrade to a managed WordPress hosting or VPS hosting. 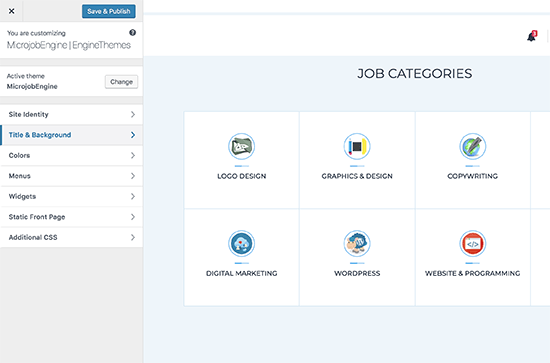 We hope this article helped you learn how to easily create a micro-job site in WordPress. You may also want to see our guide on bringing more traffic to your new WordPress site. Next articleWordPress Plugins: How Many is Too Many?